Here’s a fun new illo by MICHAEL BYERS for Alcalde Magazine. 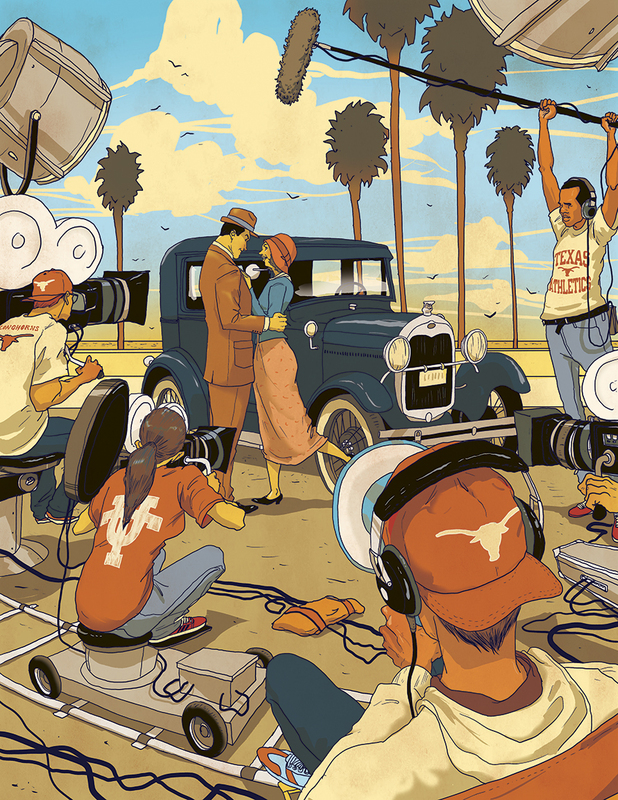 The article is called “Abroad In Hollywood: How the One-of-a-Kind University of Texas Los Angeles (UTLA) Program Prepares Students for Show Business. The University of Texas film school now has a Los Angeles residence helping kids break into the film industry. What a great opportunity to get a taste of show biz.